Valve’s nifty little Steam Link box has run out of, er, steam, with the company announcing that it’s discontinuing the gadget, with stock now sold out in Europe, and almost gone in the US too. Steam Link facilitates streaming games from a PC to the TV in the living room, with the box hooking up to the home network via either an Ethernet cable or wirelessly (and allowing various controllers, such as gamepads or indeed a mouse and keyboard, to be connected). Part of the reason the device got notoriously mixed reviews from users is likely due to folks hooking it up via the latter method, and not having such a great Wi-Fi router. Which, in turn, is probably why Valve quite often tried to stimulate sales by knocking the price of Steam Link down to more-or-less next to nothing, as we’ve seen in the past. Those who already own the gadget don’t have to worry, as the company says it will still support the hardware in the future. 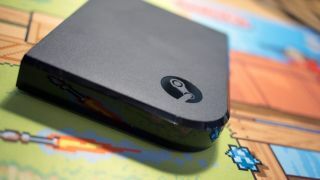 It’s a shame to see Steam Link go, particularly when you consider that it’s not really Valve’s hardware which was the real issue when it came to problematic streaming performance, but rather the limitations imposed by the owner’s router and home network – and indeed potentially their gaming PC, if it falls towards the lower end of the scale.